We participated as authors, and shared a booth with the Florida Writers Association. We did bring several of the anthologies, though, so some of our other authors got exposure. Perhaps we’ll get a separate MAHLLC booth in a future year; the event is well organized and we loved meeting everyone there. We're giving away a free copy of Strangely Funny IV on Goodreads! The contest is open to entries from the USA, Canada, and Great Britain, and begins today. The winner will be drawn on August 26th. Details are below. 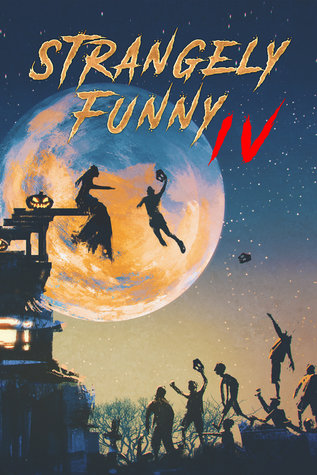 Cover Reveal: Strangely Funny IV! The fifth book in the series. Stay tuned for its release date, which is very close now.